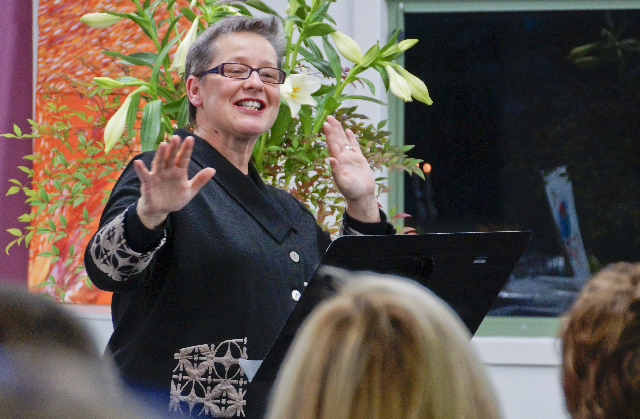 Following her distinguished service as Warrandyte High School’s principal for almost seven years, Glennis Pitches said farewell to staff and students last month. Glennis, whose career in education spans more than 34 years, said Warrandyte High had a very strong and unified community. “All the schools I’ve worked in have been really terrific but I think Warrandyte is par­ticularly special and people are drawn to it because that sense of community exists and it permeates the culture of the school,” she said. Ms Pitches will shortly begin her new role at the Australian Education Union, supporting other Victorian principals with their concerns and is­sues. She told the Diary she was excited to begin her new posi­tion but was sad about leaving Warrandyte High. She said the best thing about Warrandyte High School was the students. Before coming to War­randyte, Glennis worked at Fawkner Secondary College, Eltham High, LaTrobe Uni­versity and Melbourne Uni­versity. She told the Diary that work­ing at Warrandyte High School had been “an absolute gift”.